A fantastic 2 bedroom spacious house located in the award winning Elmsbrook Eco Development. Finished to an exceptionally high standard throughout, this property is designed to be energy efficient with features such as solar panels, rainwater harvesting and triple glazed windows. 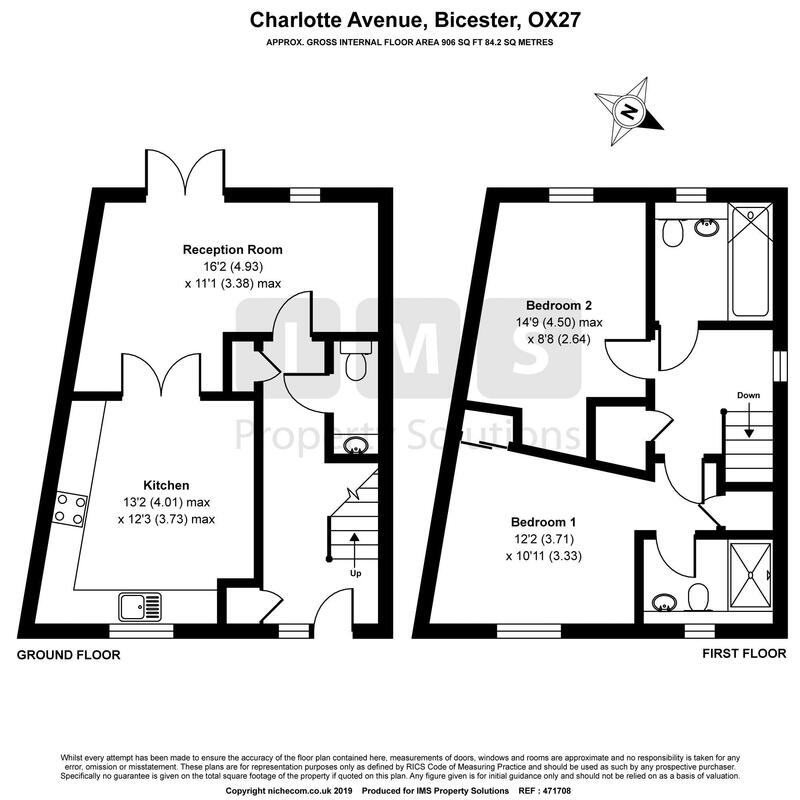 Accomodation comprises of 2 double bedrooms, ensuite shower to the master bedroom,, second bathroom, kitchen diner, cloakroom and reception room with french doors leading to the garden. The enclosed private garden leads to 2 parking spaces at the rear. Ideally suited to a professional couple, the property not only benefits from low energy bills, super fast broadband connections and great transport links , with 40% of the Elmsbrook development dedicated to green space it offers a lovely environment to set up home. To arrange a viewing please call the IMS lettings team on 01869 248339.